Actors, directors and lighting crew – everyone on set wants to be fed. The Küchentruck L is perfect for this. Thanks to its flexibility, you can provide your crew with food and drink in no time at all. 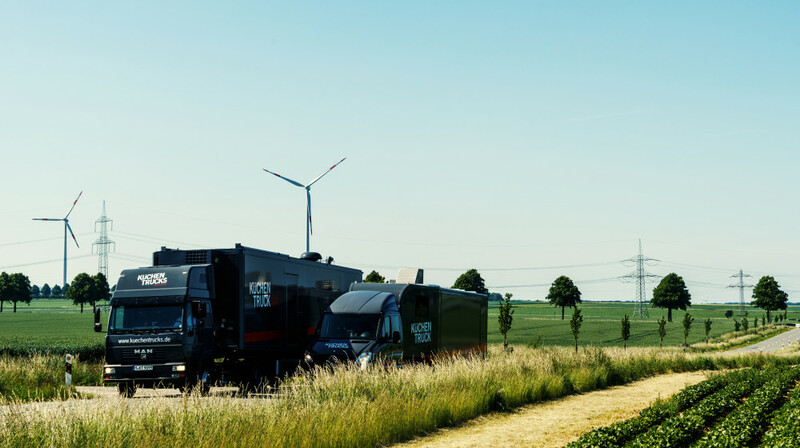 Will you be filming on location for a while? 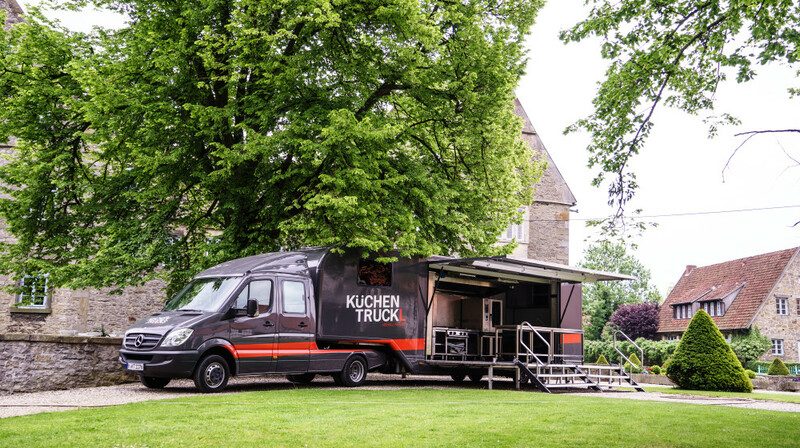 Then the Küchentruck XXL is ideal for you – its marquee, 3 combi steamers and extra-large cold store make it perfect for location shoots where you will be staying for a while. And if you choose to make use of our optional chefs, then you’ll be able to concentrate on what is important – your film. Ready for the first take? Choose your Küchentruck now. 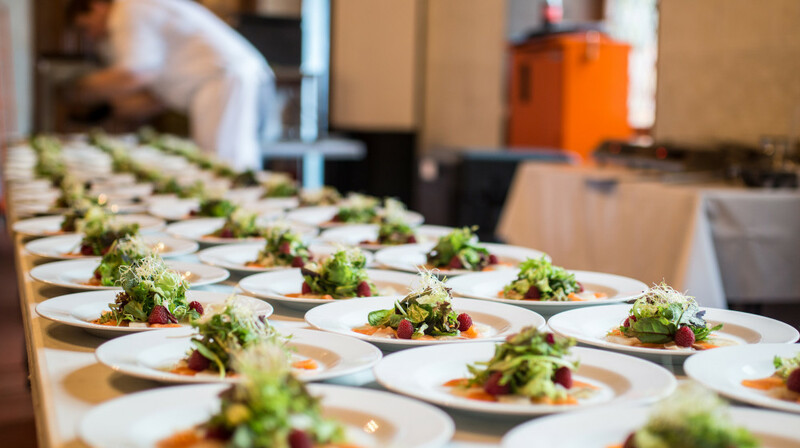 We can also take care of catering – together with our partner vomfeinsten Catering & Service GmbH we can offer you an all-round complete package including catering.